Summer Sea Men's All Over Print Beach Shorts. Designed For Stylish Men. Drawstring Waist and Stretchy Fabric with no Pockets. Sizes S to 5XL. 5.29 Oz. Designed for fashion men, stylish and personalized. 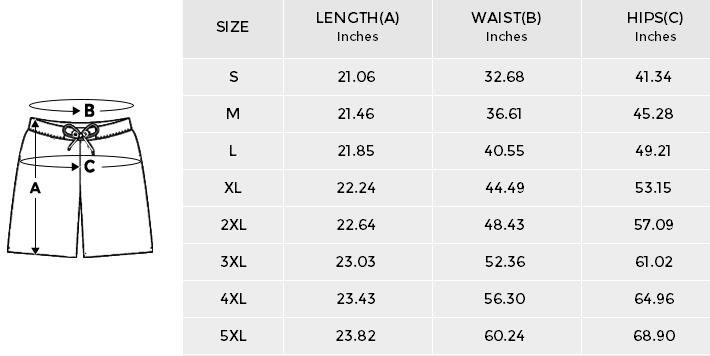 Size: S, M, L, XL, XXL,XXXL, XXXXL, XXXXXL.